A hollow point bullet is easily recognizable by the nose – because while they are not hollow bullets, they do have hollow tips. It will have an indentation, dip, cup, “x,” or some other easily identifiable mark or alteration that lets you know exactly what it is. The main reasons people flock to hollow points are for personal defense and hunting. However, there is also a strong following among competition shooters who like the increased accuracy that hollow-point bullets can offer. What Are Hollow Point Bullets? Some are copper jacketed lead bullets, while others are made of one material, like copper. But the characteristic that’s trying to be achieved when a hollow point is made is expansion. When these bullets hit a target, they should “bloom” outwards like a flower, create a flat large burst at the end, and fragment or mushroom. This is primarily to prevent over-penetration for safety reasons, but also to create the biggest wound cavity possible to take something down immediately. Although the shape of the hollowpoint bullets makes them seem inaccurate, it's just a common misconception that is easily proven otherwise once you fire a few rounds on your own. 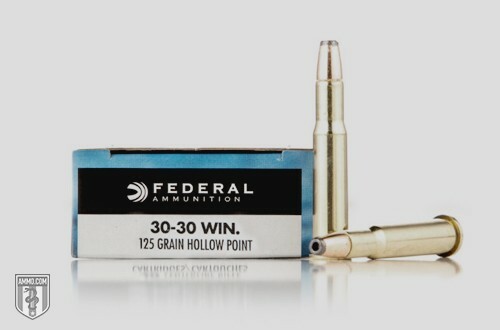 Most bullets go so incredibly fast, and the shape has very little bearing on accuracy until you hit a certain distance. This distance can be as small as 25 yards for an old-school hollow point, but could be 200 yards with a plastic or polymer tipped HP rifle round. It’s always going to be based on the shooter skill, exact type of ammo, and the gun being used. Put plenty of hollow point rounds through your weapon to find your “sweet spot” if you’re using this ammo for something other than home defense. This is the biggest advantage of hollow point ammunition. When it hits a target, the nose will open up like peeling a banana, which creates a larger surface area. If you hit a soft target, it expands on impact and sends that expanded bullet deep into the target, hopefully killing or incapacitating it instantly. This expansion can occur in various ways depending on the manufacturer of the bullet, and each popular ammo company has a huge variety of them for different intended uses. There are two main ways to look at hollow point bullets and what makes them better than other bullet designs for their intended use. The first one is, if you have to use a firearm in self defense with a lot of people around, a lead round nose or FMJ can (and often will) go right through someone and hit others or cause some type of damage. A hollow point is designed to quickly expand upon impact and release its energy into the target to greatly decrease the chance of hitting a bystander. The second reason they are safer for hunting or self defense is because the trauma and relating shock will cause the target to drop almost immediately. This decreases the need for follow-up shots that could endanger others. For hunters, it decreases the chances of having to track a wounded animal. HP ammo is well loved by shooters all over the world for most applications. They are a superb home defense ammo choice, great for hunting if you get the right brands, and are an overall popular ammo for everything.